Hillshire Farm recipes Tops Tops Markets Hillshire Farm Little Smoked Sausage Deal + 8 Recipe Ideas! 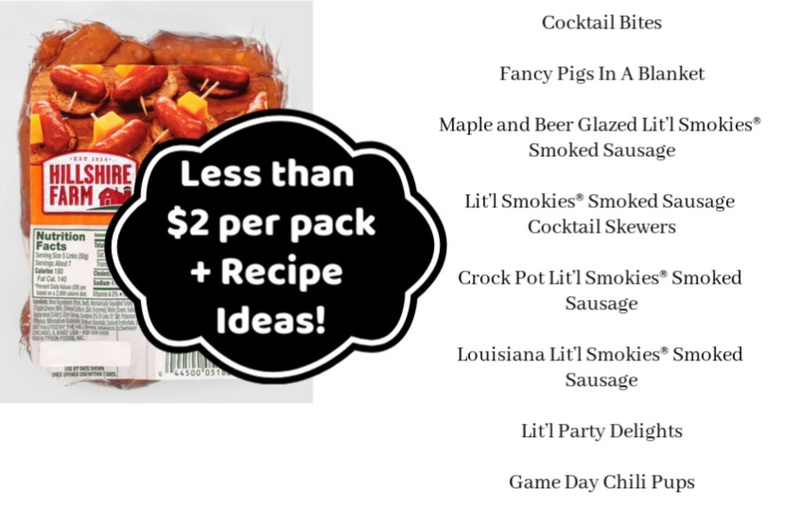 Hillshire Farm Little Smoked Sausage Deal + 8 Recipe Ideas! There's a nice buy one get one free offer on Hillshire Farm mini sausages this week at Tops Markets. = $3.89 with doubling or just $1.95 each! Why not consider making one of these little sausage recipes, especially if you are throwing a football party soon!